It is always a pleasure working with Dahl. Your team is professional, efficient and have great talent. Thank you! It is always a pleasure to work on your projects. Thank you Jim. We sincerely appreciate your business and always look forward to your next project and working with you! Thank you! We look forward to working with you on your next project. Thank you Tanya! We sincerely appreciate and value your business. Thank you! We always look forward to working with you on your projects. Thank you Charles! We are always trying to make our showroom the very best in the valley. 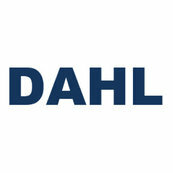 We have been using Dahl for the past 5 years. They are the best! Becky is always really helpful. Thank you Tom! It's always a pleasure working with you and your team on your projects. Thank you Karen! We sincerely appreciate you utilizing our showroom for your clients and look forward to your new projects. Thank you Judy. We always strive to be the best for our customers and sincerely appreciate your business!